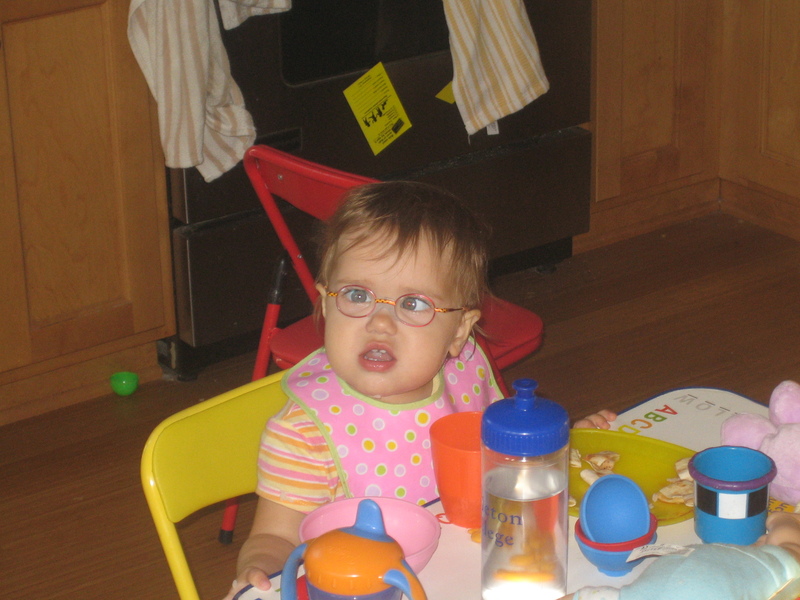 Looking back, I’ve realized that I’ve taken fewer pictures of Zoe, and shared even fewer online. I’m pretty sure that this is largely because of her crossing her eyes, I’ve been more conscious about how she looks. Not that I’m ashamed of her, but I’m feeling self-conscious about whether I should have tried to get her in earlier when I noticed her eyes crossing again. 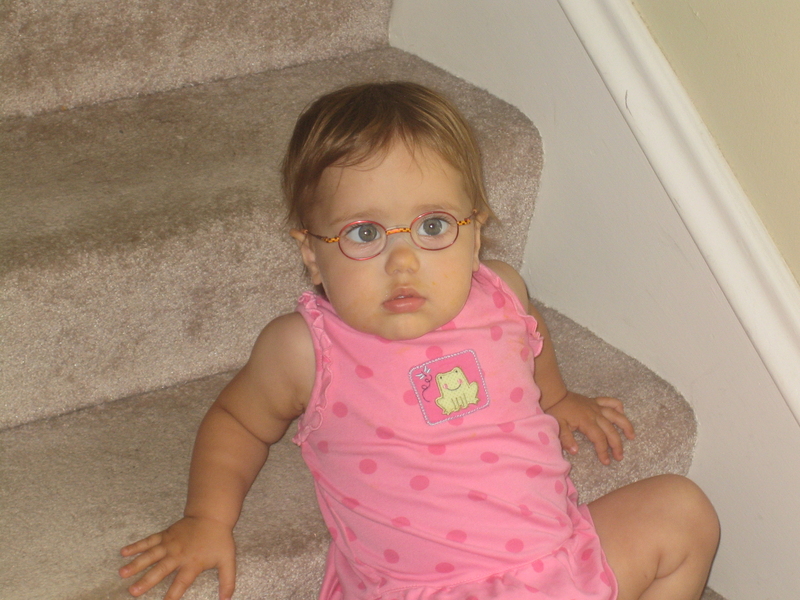 Once we’d had the appointment and learned new she needed a new (pretty dramatically higher) prescription, it’s been even harder to see her eyes moving in, knowing (well, hoping) that if only she had her new lenses, her eyes would be straighter. I was also a bit worried that she wouldn’t like the new lenses. I know how thrown off I get when I get new glasses with a new prescription, and hers is a much bigger jump than I’ve had. 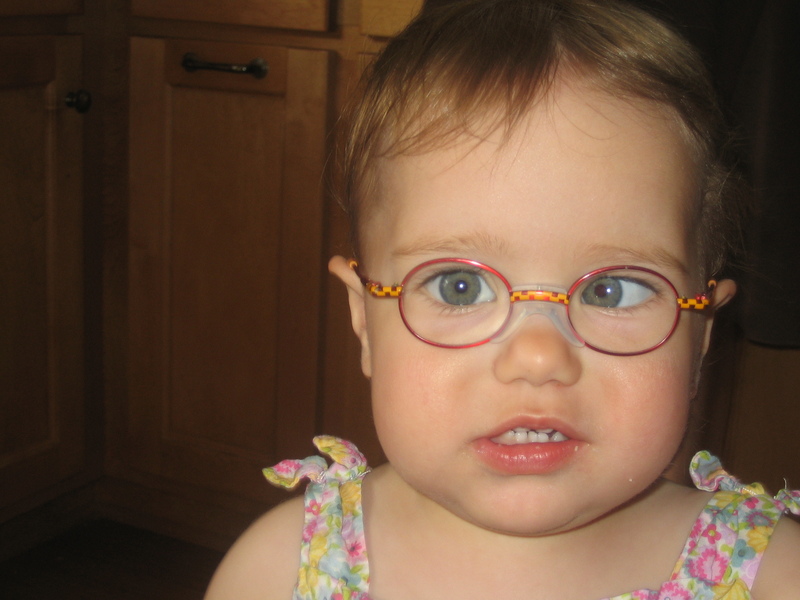 I worried that all the gains we’d made in her wearing her glasses so well might be undone. I needn’t have worried. The lenses came in on Wednesday, and Chris got them Thursday afternoon. 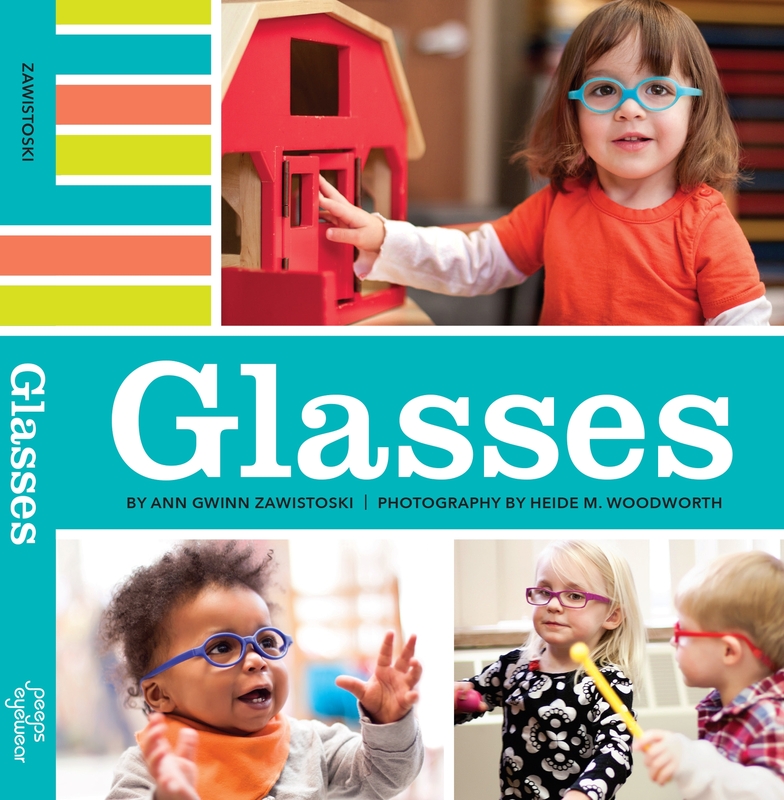 Zoe had been sent home early from daycare for a fever, so she wasn’t feeling well to begin with, but she didn’t seem to have any problem with the new lenses. I could immediately see that her eyes looked bigger with the stronger prescription. I was worried that her eyes didn’t seem much straighter that first evening. They look straighter now, though they still are a bit crossed. We have a follow-up appointment in 2 weeks, so we’ll see how she looks then.